Industrial air compressors and compressed air tanks or receivers are often the unseen ‘heart’ of many manufacturing/processing industries. They keep working away, supplying vital energy to the whole operation, yet are often overlooked in the complexity of modern processes. 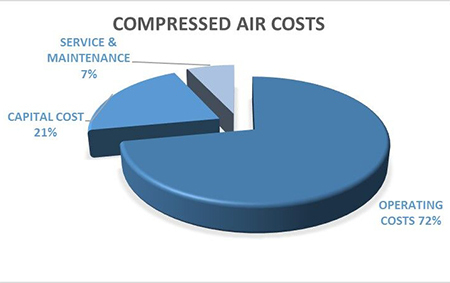 The selection of the correct industrial air compressor system for your application could save or conversely cost you thousands of dollars. The team at AIR ENERGY collectively possess more than 88 years direct experience in the industry, and as an independent company, we can help you make the choice that is “best for you”. We sell and install only the very best on the market, sourcing products from the world’s leading manufacturers, including Atlas Copco, Sullair, Boge and other reputable brands. This guarantees the highest level of quality in all the products we deliver to you. If you need assistance in selecting the right air compressor equipment for your facility, do not hesitate to call us. Our team of air compressor specialists can recommend the right air compressor based on the applications in your facility. They are also capable of answering technical questions about the function and components of each type of air compressor commonly available. Bigger is not always better, and although VSD’s are great energy savers when matched to the application, they could end up costing you far more if not carefully considered. Compressed air tanks and industrial air compressors have many components which all need to be sized and selected to deliver the results you need today and for the future in the most efficient way. During the technical lifecycle of a compressed air installation (which is approximately 10 to 15 years), the energy cost could be as much as 80% of the total cost. The typical manufacturing plant uses approximately 30% of the total monthly electrical expense for compressing air. A pressure drop of only 1 psi in a compressed air system can add as much as .5% to the electrical expense needed to compress the air. Sizing of your compressed air tanks or receivers should be an optimum of 10 x flow in l/sec or a minimum of6 x flow in l/sec. An increase of 1 bar adds about 8% to your energy bill. AIR ENERGY can offer you Atlas Copco, Champion/Sullair, Ingersoll Rand, F S Curtis, Senator, Pilot, Glenco, Boge, Mark, and other leading brands. Screw compressors are designed for continuous duty, providing a reliable and stable source of compressed air. Our Atlas Copco compressors are engineered to ensure the highest level of reliability and efficiency. Oil-free air compressors are specifically designed for applications where air quality is critical for your product and production processes. Atlas Copco’s oil-free air technology helps avoid expensive filter replacements and improves energy efficiency. Piston compressors are the oldest method of compressing air. It uses a piston whose movement is achieved by a connecting rod and a rotating crankshaft. Piston compressors are more affordable and easier to maintain. Silenced compressors lead the market for providing a powerful performance with a fraction of the noise associated with standard machines. Noise levels are reduced by enclosing the machine in a soundproof unit with sound-absorbing panels. A scroll compressor exists in two spiral elements with one compressor element moving in eccentric circles and the other staying stationary. Two of its primary advantages are its quiet operation and the oil-free water it produces. These compressors ensure that processes get the required air at the required time. The VSD technology works by aligning your compressors’ output with the needed air input, effectively preventing unnecessary energy usage and reducing energy consumption. Diesel or petrol portable compressors benefit greatly from their portability. Users of these compressors need not worry about unpredictable power loss, which is a common problem in building sites or when working in adverse weather conditions. Mobile compressors are typically powered by diesel engines and designed for continuous duty. Very large, as well as very small, compressors may sometimes come with an electric motor. Air Energy is a specialist supplier of various types of air compressor equipment throughout Australia. Our years of experience in the industry combined with ongoing research and awareness of product developments enables us to provide expert technical advice. Our practical and cost-effective air compressors are in line with our focus on supplying energy-saving equipment that features intelligent design. We apply the same care to all our customers by responding quickly to their needs. We enjoy sharing the experience of a job well done with our satisfied customers. 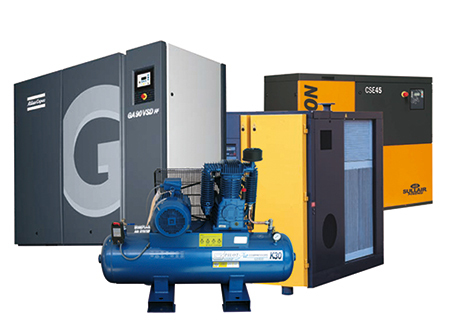 For any enquiries about our range of air compressors and the brands that we sell, call us on (03) 9765 5600.